Put this one in the strange bedfellows department: Red Hat(s rhat), the company known for its supported enterprise Linux, is now working with its chief clone, CentOS. Since CentOS is seen as a free option to Red Hat Enterprise Linux (RHEL) in many businesses and Red Hat threatened legal action against CentOS in the past, last week’s news raised some eyebrows. And that context makes the CentOS news even more interesting. A Wired post headlined Hell freezes over in Linux Land reminded everyone of Red Hat’s litigious response when new-borne CentOS made reference to Red Hat on its website. But, Wired’s Klint Finley wrote, this latest move means that CentOS can find and fix bugs more publicly “without fear of legal reprisals from Red Hat” or the “Prominent North American Enterprise Linux Vendor,” as CentOS took to calling Red Hat after the legal spat. The back story is that Red Hat is aware that CentOS is a viable alternative to RHEL for many accounts which do not see value in paying for Red Hat support. Indeed, it took me a long time to grok why corporate users stick with RHEL — since the only thing RHEL offers that CentOS doesn’t is certification of various hardware and software configurations and proof that the user is, in fact, supported by a big vendor. For a subset of big companies, the ability to show stakeholders that the full technology stack is supported and vetted by its vendors is critical — even if the support itself is meh. Matt Asay, VP of business development MongoDB and former COO at Ubuntu, a Red Hat competitor, hit the nail on the head on his post over at Read Write. ” … CentOS is by far the most popular non-paid Linux distribution for enterprise use. 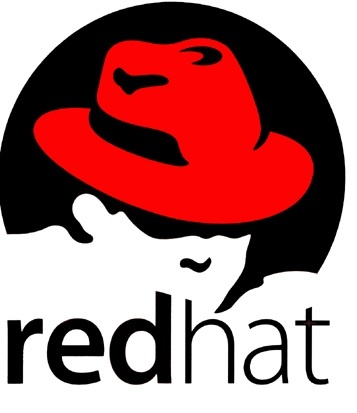 While Red Hat lists several hundred case studies of enterprises like Goldman Sachs that depend upon RHEL for mission-critical deployments, there are many others that want the safety of running a close approximate of the RHEL standard but don’t want to pay RHEL prices. Red Hat’s problem is that while big banks, etc., are hugely risk averse, a growing number of other companies are not. And for those companies CentOS is a very attractive option. By embracing, or seeming to embrace CentOS, Red Hat is expanding its ecosystem and perhaps containing damage. Another wrinkle is that many big enterprise Red Hat accounts are also Oracle database accounts. Never one to let a competitive threat pass, Oracle has been pushing those shops to adopt Oracle “Unbreakable” Linux (also a Red Hat clone) at very favorable terms. There is a price list, but from what I can tell, Oracle Linux support is de facto free to these companies. While nobody’s market share numbers show Oracle Linux gaining traction, I do hear anecdotally about some wins for Oracle. Perhaps more to the point, any big Oracle shop worth its salt will use Oracle’s offer to force support pricing concessions from Red Hat. Much like enterprise shops use Google(s goog) Apps to negotiate better enterprise deals on Microsoft(s msft) Office. Fedora, the test bed for proposed new features, “will continue to serve as the upstream project on which future Red Hat Enterprise Linux releases are based,” Red Hat said. In other words, Fedora is the trail blazer, testing out cutting edge changes before they roll out in RHEL and CentOS is the fast follower, taking the new and cool stuff from RHEL and making it broadly available even to those not paying Red Hat support. Or at least that’s how I read it. I would love to hear your thoughts in comments below. Red Hat’s open source business is strong enough that CentOS is effectively a mindshare force multiplier rather than a RHEL competitor. Jason Hoffman, founder and former CTO of Joyent and now digital strategy poohbah at Ericsson, is never shy about his opinions. Hear why he thinks Amazon will continue to crush it, Google has a shot and OpenStack is an “interesting backwater” as he handicaps the major cloud players. CentOs is great alternative to RHEL. I personally would have preferred CentOS to stay independent of Red hat. However as the author points out there are upsides as well. so it will have to be a wait n watch to see what this done to the linux ecosystem. I find it hard to understand those who say RedHat’s support is either really good or really bad; however, the support, whatever level its seen through the eye of the beholder, is unnecessary for sure. As mentioned, the “supported” tag, the risk aversion comfort, and the “one throat to choke” are the services paid for. It’s silly…….the ability to open a case and ask a vendor a question provides the hedge to managers in case they mistakenly hired a less-skilled Linux Admin who can’t solve the problem on his own (or free support sources). It’s a very real comfort based on what will seem senseless to posterity, but for now it has to be this way. interesting. i picked the hq picture from red hat site. will try to find something better next time. Aside: You need to update your Red Hat photo. Red Hat no longer HQs in the one pictured. Support? Red Hat’s support is pretty outstanding. Well, Red Hat probably hopes that closer ties with CentOS might make it easier for some CentOS users to consider moving to the RHEL paid support model, but that decision should only depend on the quality of Red Hat’s support. Hardware configuration certification and application stack certification are not good enough reasons for most people to think about doing it as many apps only require “x86 compatible hardware” and frequently list both RHEL and CentOS as being supported. Of course some people may need to run RHEL to cover all the bases by having “one throat to choke” in order to avoid recriminations. As for Red Hat’s “embrace” of the CentOS ecosystem, who really needs it other than Red Hat? People running CentOS understand the realities of the community model and don’t seem to be overly concerned about needing to be “closer” to Red Hat. Perhaps we are missing the big picture. Better CentOS than ubuntu, (or others). At least they keep the industry on the Red Hat side.